Bead, brown lip shell (natural), 30mm flat round. Sold per 16-inch strand. 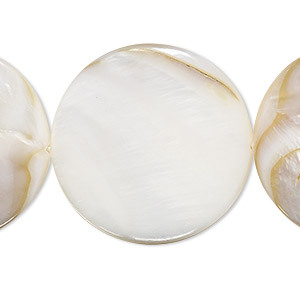 Natural brown lip shell beads glow in warm, subtle color tones. 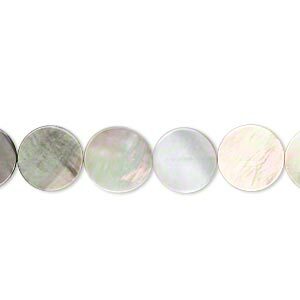 Creamy iridescence of each shell suits the color palettes for spring and summer accessories. 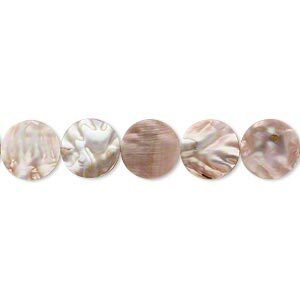 Bead, mother-of-pearl shell (natural / bleached), white, 29-30mm flat round, Mohs hardness 3-1/2. Sold per 15" to 16" strand. Bead, paua shell and resin (assembled), 15mm flat round. Sold per 15-1/2" to 16" strand. 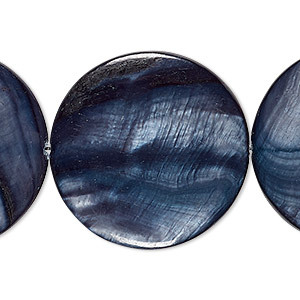 Bead, black lip shell (natural), 15mm flat round. Sold per 15-1/2" to 16" strand. 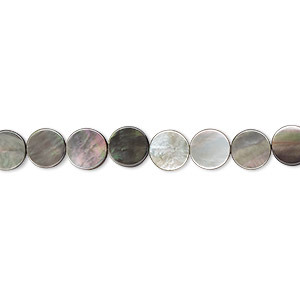 Bead, black lip shell (natural), 10mm flat round, Mohs hardness 3-1/2. Sold per 16-inch strand. 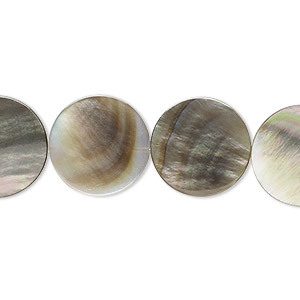 Bead, black lip shell (natural), 6mm flat round, Mohs hardness 3-1/2. Sold per 15-1/2" to 16" strand. 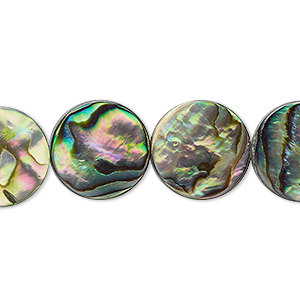 Bead, mother-of-pearl shell (dyed), royal blue, 29-30mm flat round, Mohs hardness 3-1/2. Sold per 15" to 16" strand. 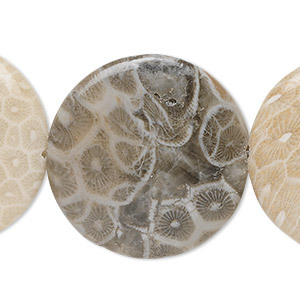 Bead, fossil coral (natural), 30mm flat round, B grade, Mohs hardness 6-1/2 to 7. Sold per 15-1/2" to 16" strand. 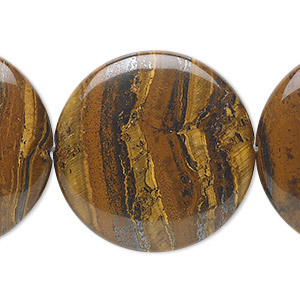 Bead, tiger iron (natural), 30mm flat round, B grade, Mohs hardness 7. Sold per 15-1/2" to 16" strand. 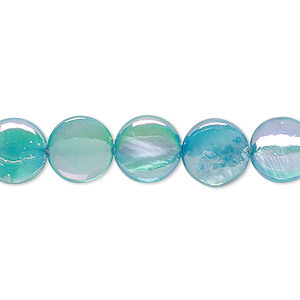 Bead, mother-of-pearl shell (dyed / coated), turquoise blue, 10mm flat round, Mohs hardness 3-1/2. Sold per 15-inch strand. 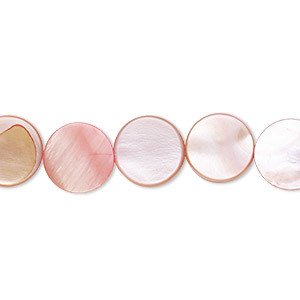 Bead, mother-of-pearl shell (dyed), pink, 10mm flat round, Mohs hardness 3-1/2. Sold per 15-1/2" to 16" strand.